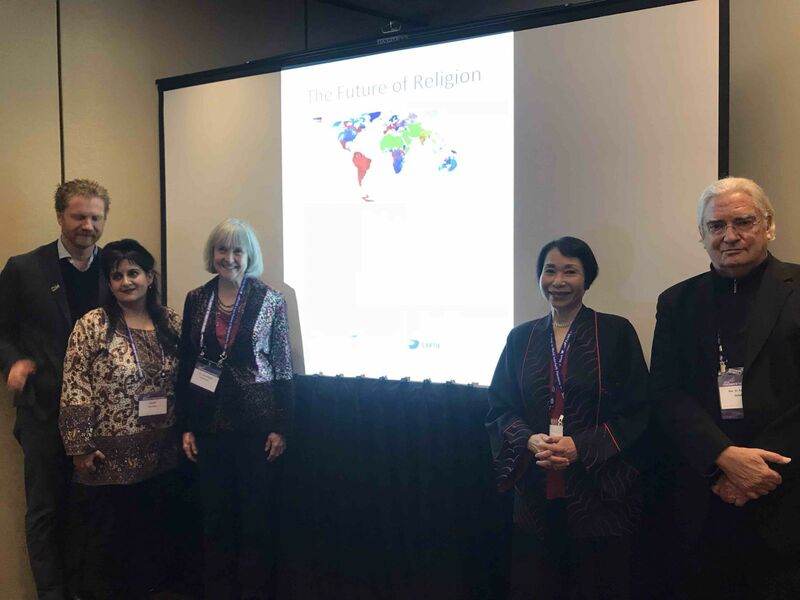 The Garden of Light hosted an interactive panel on The Future of Religion at the 2018 Parliament of the World's Religions held in Toronto, Ontario on Nov. 2, 2018. Panelist Ben Bowler's remarks were subsequently published in The Interfaith Observer (or read below). The hall was filled to standing room only, with those attending enjoying ample time to share their views. 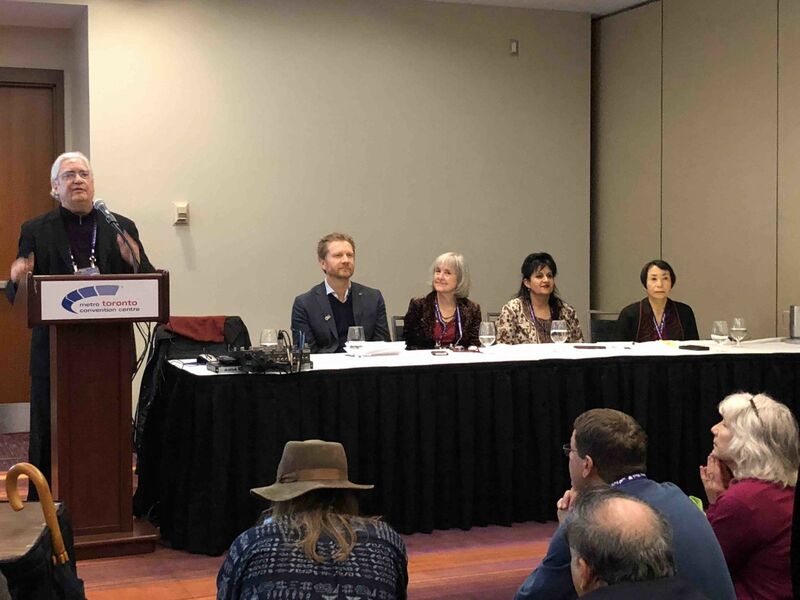 Dr. M. Darrol Bryant, Director of the Centre for Dialogue and Spirituality in the World Religions, proclaimed the panel the best he had seen on the subject in 50 years. The biggest problem with discussing religion is the definition of the term. Few words have such breadth and depth of meaning and even fewer words can spark such passionate debate. My experience is often those debating the subject are using the word in fundamentally different ways. Are we talking about religion as a personal experience (connection to God) or are we talking about religion in its institutional and organisational sense, a collection of forms, rituals and dogmas? There is a tendency among some to refer to the more personal expression of religion as spirituality and to laud this above and beyond the institutional forms of religion which are viewed as outdated systems predicated more on power and control than upon genuinely idealistic values. Hence the term “spiritual but not religious” which affirms spirituality as a positive and relegates religion as undesirable. This criticism of religion hits the mark in the sense of institutional religions being essentially self-serving organisms (religion as virus) but in my view it misses the mark of the profound utilitarian value of religion and religious forms. It also fails to see that religion can be personal, can be spirituality. I am a supporter and defender of healthy religion, not any religion per se, but religion in general as an evolutionary force for good. Religion brings out our best and our worst and there is no wider gap in all human endeavour than the gulf between good and bad religion. 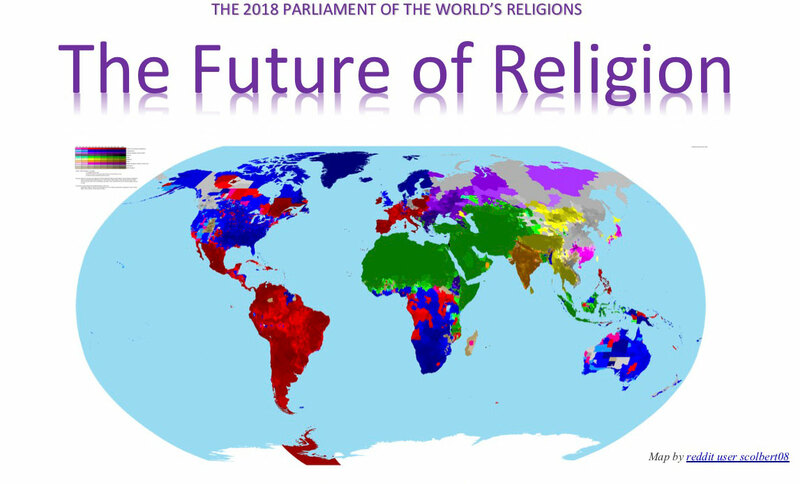 We hope, and we expect that the future of religion would see a continued growth and development in religions worldwide along a positive evolutionary trajectory of spiritual maturity. 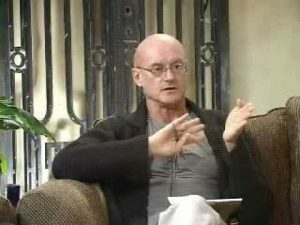 Ken Wilber’s Integral theory certainly has some good tools and maps for tracking this developmental progress. 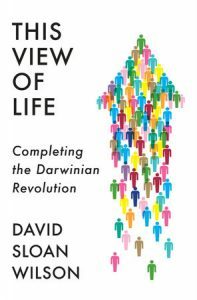 Those of us who are evolutionary optimists - and I’m one (our theme song must be The Beatles “Got to Admit It’s Getting Better”) - need to be mindful that there is a distinction between what we hope to see as the future of religion and what may actually be. At the very least there may be time delays involved that are beyond our reckoning. In 2018 at the Parliament of World’s Religions (125 years later) we certainly share the same prayer and the same hope as Vivekananda. So while we must surely be guarded about any wildly optimistic predictions about the Future of Religion, I would like to dedicate the rest of my time talking about my hope for the direction of evolution for religions. Let me start by speaking a little more about the utilitarian value of religion. It is sometimes said that “all religions are essentially teaching the same basic truths.” There is much equanimity and often a gentle generosity in this homespun wisdom, but it also fails to honour and acknowledge the elemental truth that all world religions are born out of specific and unique revelation. The Jewish Prophets, the Advent of Christ, the enlightenment of Gautama Buddha, the Prophethood of Mohamed (PBUH), The Bhagavad Gita, the life of Guru Nanak – these are all profound gifts to our world and they each carry unique and precious value. There is ultimately but one truth and one Source but each of these religions represents essential and distinct elements within that universal unity. Without religious forms to carry their essence through the ages, in the cases above Judaism, Christianity, Buddhism, Islam, Hinduism and Sikhism, these infinite gifts of revelation would not be accessible to generation after generation. Frankly these wisdom traditions are carriers of truths that are essential to the spiritual development of humanity. This is the real value of institutional religions, self-serving as they necessarily have been to survive the centuries, religions provide a vital conduit from the source of the original revelation to modern humanity. Their collective impact on world culture, our morals and ethics, our health and education systems and on shaping virtually every sphere of human life is immense beyond measure. However, perfect conduits they are not. At best institutional religions are man-made and flawed channels carrying holy waters of divine inspiration. Being human, we nearly always get it wrong and we end up worshiping the forms themselves rather than the Spirit that they were designed to carry. We mistake all too often the bottle for the wine, the human vessel for the divine essence. This becomes the cause of much division, confusion and conflict (my form is better than yours). And yet we see in the interfaith movement, in this very forum in which we participate today, much genuine cause for optimism. Religions are largely learning to coexist, even to get along and furthermore even to love, value and respect each other! 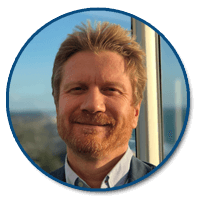 This is the dawning of the Interspiritual Age, written about by my fellow panellist Dr. Kurt Johnson, in which a healthy variety of religious forms exist in right relationship with one another in a beautiful, vibrant, colourful Ecosystem. Rev Deborah Moldow, convenor of this panel has marvellously termed this the Garden of Light. Ultimately Religion must be measured by the service it renders and the ability to execute its only two mandates – 1) at the individual level is to bring humanity into more fulsome relationship with God / Creator / The Divine and 2) to bestow their unique revelatory gifts for the institution of God’s kingdom on Earth. My hope for the future of religion is that in this interspiritual age, each religion ceases to concern itself with its own dogmatic boundaries and institutional survival and gives itself wholly and fully and unreservedly to these two sacred duties as an inspiration for All. And if each of them did that, then in God’s time we would indeed see a New Heaven and a New Earth. Good afternoon. Thank you for joining us for a discussion on a topic that is of significance to all of us here at the Parliament: The Future of Religion. I’m Rev. 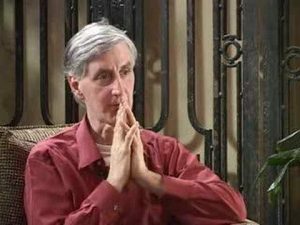 Deborah Moldow, an Interfaith Minister and the founder of the Garden of Light, an online platform for the emerging global spirituality. I’ll be hosting today’s panel, which features four outstanding speakers: Kiran Bali, Ben Bowler, Kurt Johnson and Audrey Kitagawa. I’ll begin with a few introductory remarks to set the stage and then our panelists will offer their views. After that, we want to hear from you! We humans are odd creatures. Our capacity for self-reflection (which we believe to be unique but who knows, really?) coupled with a natural urge for survival has led us to probe the mysteries of our existence and the world around us since the dawn of human consciousness. Those who could read into the mysteries and interpret them for the rest of us have always held powerful roles as shamans, medicine women, priests or priestesses. In the great march of the evolution of human thoughts and beliefs, these interpretations have gradually changed over time. In his seminal work, “Awakening Earth,” author Duane Elgin outlines the stages of human development as dimensional evolution. We began as one with the natural world. Elgin states that our growing capacity for reflective consciousness brought early Homo Sapiens into the 2nd dimension, with a sense of separation from the world around us in an “I-Thou” relationship roughly 35,000 years ago. We made tools, art and music, and our tribes developed rituals to engage with the sacred nature of our reality. We worshipped Earth goddesses, hoping for blessings of fertility and abundance. Once the Ice Ages receded and our hunter-gatherer ancestors began to settle into farming, the faceless Earth mother figurines began to take on eyes as humanity started to look up toward the cosmic order of the heavens. Entering a new era of depth consciousness around 3,500 BC, our spirituality shifted to what Duane Elgin calls “a masculine, sky-oriented spirituality.” We had entered the 3rd dimension, building large-scale city-states accompanied by the rise of the Sky Gods, more distant and requiring more organized worship. Much was gained – and much was lost. This stage of development led to the stewardship of land marked off for agriculture and the accumulation of tools, stored food and other riches that needed to be protected by armies and kings. War and conquest became choices to be made. Karen Armstrong notes that the period 800—200 BCE termed the Axial Age because it proved pivotal to humanity saw the rise of many great religions: Taoism and Confucianism in China, monotheism in Israel, Hinduism, Buddhism, and Jainism in India, and Greek rationalism in Europe. Empires rose and fell as humanity battled its way by around 1500 AD into the dynamic 4th dimensional consciousness of the scientific-industrial era that built our modern world, complete with material progress as the primary measure of success, an affluent middle class and a huge increase in personal autonomy in all domains. Religious reformation and the political shift toward democracy that swept the Western world were products of individual empowerment. The dynamic tension between science and religion continues to play a major role in contemporary thought – as does the growing recognition that the two are not as far apart as they might have seemed at an earlier dimension of consciousness. So where are we now? As change proceeds at a dizzying rate urging us onward into 5th-dimensional states of consciousness, we are re-discovering the fundamental unity of our human family sharing one beautiful, living, breathing biosphere that is our planetary home. As we strive to live into this global consciousness, it appears that quite suddenly all of the systems that have allowed our civilization to flower are reaching the end of their paradigm, not only because of their diminishing effectiveness, but also because they are poisoning our natural systems and accelerating the climate change that could threaten our very existence. New times are demanding new thinking, and even radical change, that will encourage individual creativity to thrive in service to the greater whole. Karen Armstrong says, “At this moment in history, I believe that we need a new spiritual revolution” into a Second Axial Age. 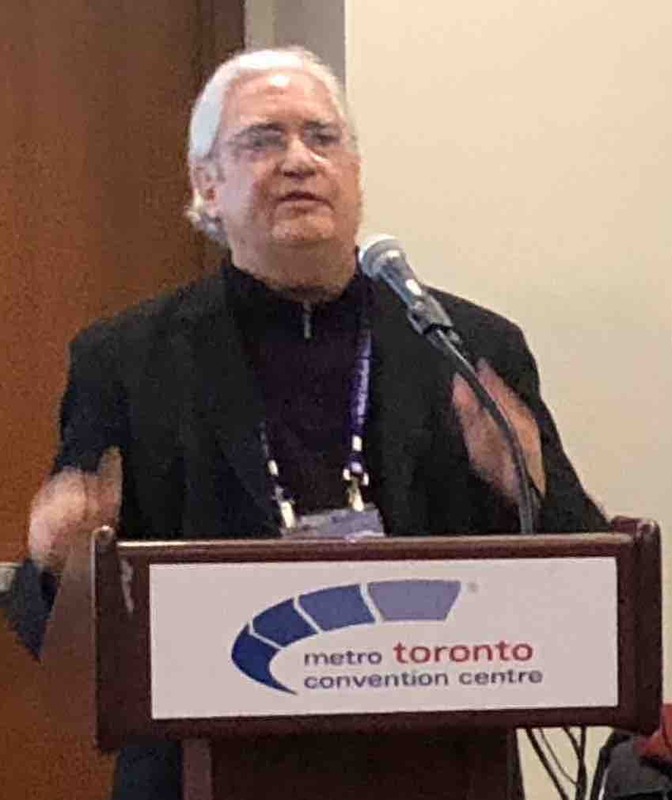 “The Promise of Inclusion and the Power of Love” are the hallmarks of this coming age – if humanity realizes the necessity for global understanding and reconciliation and is willing to change our collective perspective in ways that can usher in a global culture of peace. More than a century of interfaith dialogue, pioneered by the Parliament of the World’s Religions in 1893, has given those on the leading edge of the current evolution an appreciation of the great religions of the world – along with indigenous traditions, nature-based spirituality, esoteric lineages, contemplative practices, and emergent belief systems – as all offering priceless windows on the truth. This unfolding holistic vision points to a wholeness that underlies the rich diversity of human cultures and perspectives. This is giving rise to a spiritual impulse circling the globe that is limited neither to religious believers nor to secular skeptics. This movement, which is the focus of the Garden of Light website at www.gardenoflight.org, has no home, no recognition and no official name, although it has been dubbed “interspirituality” by Br. 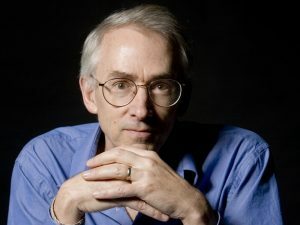 Wayne Teasdale and others, including our panelist, Dr. Kurt Johnson, co-author of “The Coming Interspiritual Age.” Ben Bowler references this phenomenon on his website at www.1God.com, where we are called to “unite the tribes,” with great respect to all the cherished faith traditions. Hon. Kiran Bali has seen first-hand the power of people of different religions that share values working together across the globe through the United Religions Initiative. 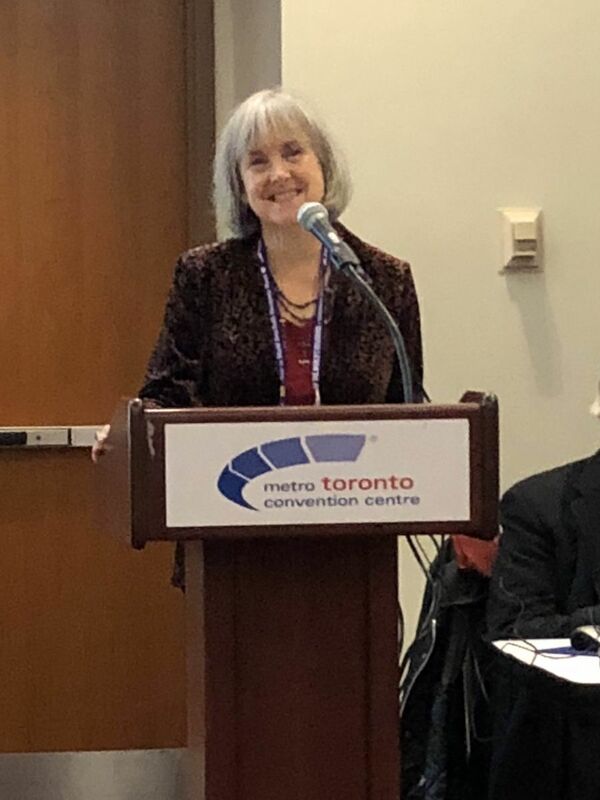 And Audrey Kitagawa will be leading the Council for A Parliament of the World’s Religions into the future as chair-elect. So, we can expect a rich discussion today on the future of religion. In the time of this “interspiritual age,” is there a place for religion? Perhaps we need to recall that religion offers more than a system of beliefs. Religious groups offer a code of ethics, consistent, committed charitable works, support for members in need, holidays and festivals, and, perhaps most importantly, community. In other words, they call us to live into our highest self. And they can offer a voice – either for separatism and proclaiming an exclusive path, or for unity for the highest good of all. If the religions of the world have the courage and grace to step into the new paradigm together, they can potentially accomplish what no association of governments has ever managed to do: to end hunger and to put an end to war. Let us pray that this will be the future of religion. May Peace Prevail on Earth. Now, let us hear from our wonderful panel!